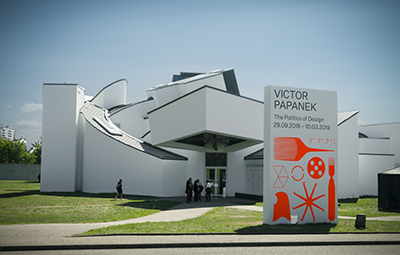 Vitra Design Museum presents the first large retrospective focussing on the designer, author, and activist Victor J. Papanek (1923–1998). Papanek was one of the twentieth century’s most influential pioneers of a socially and ecologically oriented approach to design beginning in the 1960s. His key work, 'Design for the Real World' (1971), remains the most widely read book about design ever published. In it, Papanek makes a plea for inclusion, social justice, and sustainability – themes of greater relevance for today’s design than ever before. The exhibition includes high-value exhibits such as drawings, objects, films, manuscripts, and prints, some of which have never before been presented. These are complemented by works of Papanek’s contemporaries from the 1960s to 1980s, including George Nelson, Richard Buckminster Fuller, Marshall McLuhan, or the radical design initiative »Global Tools«. 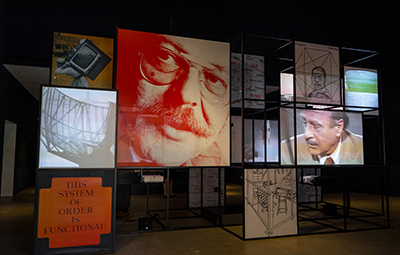 Contemporary works from the areas of critical and social design provide insight into Papanek’s lasting impact. 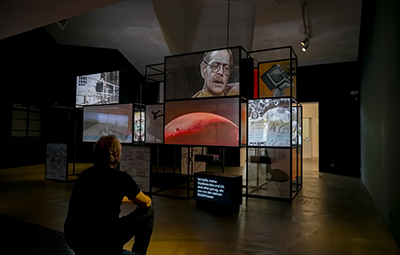 This muti-screen display was devised as an abstract introduction to the thoughts and ideas promoted by Victor Papanek using rare archive and associated imagery that contexualised the politcal concerns of Papanek's work.